Bullying has become a major problem in our classrooms, playgrounds, workplaces, and over the Internet. But an increasing number of people and organizations have begun to fight back in order to educate as many people as possible about the devastating effects bullying can have. February 27th is anti-bullying day in Canada - better known as Pink Shirt Day - a day set aside to bring awareness to bullying issues and the devastating effects it can have. 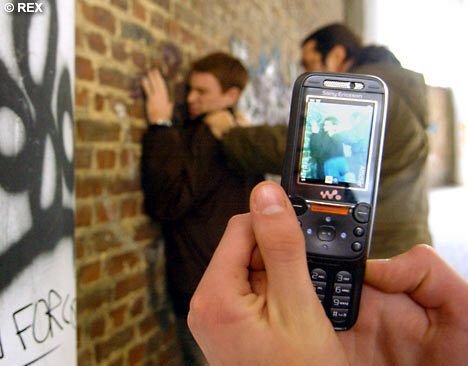 Bullying is a form of repeated,and aggressive behaviour directed at children, teenagers, or adults. The behavior is intended to cause fear, distress, or harm to another person's body, feelings, self-esteem or reputation. Bullying usually involves an imbalance of power. Verbal bullying: name calling, sarcasm, teasing, spreading rumours, threatening, making negative references to a person's culture, ethnicity, race, religion, gender or sexual orientation, unwanted sexual comments. 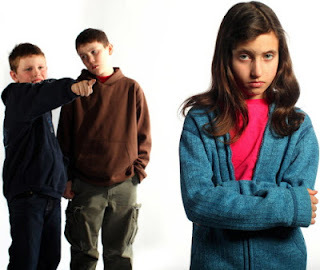 Social bullying: mobbing, scapegoating, excluding others from a group, humiliating others with public gestures or graffiti intended to put others down. Physical bulling: hitting, poking, pinching, chasing, shoving, coercing, destroying or stealing belongings, unwanted sexual touching. Cyber bullying: using the Internet or text messaging to intimidate, put down, lie, spread rumours or make fun of someone. messaging to intimidate, put-down, spread rumours or make fun of someone. According to the National Education Association, it is estimated that 160, 000 children in the United States miss school every day due to fear of attack or intimidation by other students. Students are most vulnerable to bullying during transitions from elementary to junior high school, and from junior to senior high school. There is a correlation between increased supervision and decreased bullying. Bullies stop when adults are around. 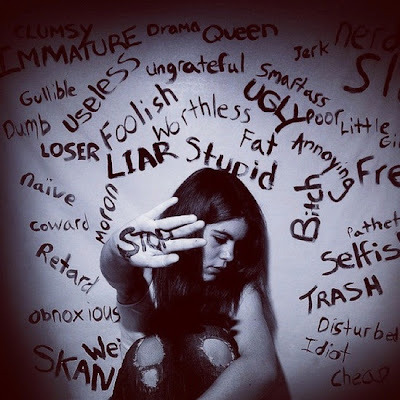 "Bullying is the act of intentionally causing harm to others through verbal harassment, physical assault, or other more subtle methods of coercion such as manipulation..."
How does bullying affect people? Read my next post.